If you suffer from frequent heartburn like me, you can probably agree that it’s not pleasant and can interfere with being able to enjoy some of your favorite foods. 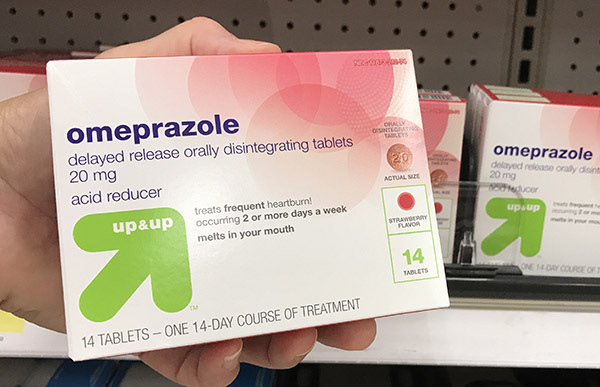 But Up & Up Omeprazole Orally Disintegrating Tablets (also referred to as ODT), available at Target, can offer relief from frequent heartburn. Plus, the Up & Up Target brand makes it more affordable and you can expect Omeprazole ODT to work the same as the national brands. And there’s even more good news! 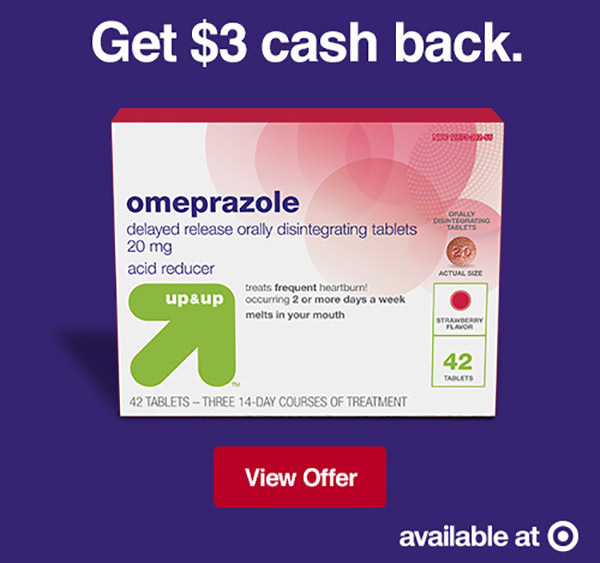 Now you can get $3 cash back from ibotta when you buy the 42-ct Omeprazole ODT at Target! There is also a $1.50 off 14-ct Up and Up Omeprazole ODT with no expiration date. One of the biggest benefits of Omeprazole ODT is that you don’t need to take it with a glass of water. Omeprazole ODT uses MELTech™ technology so the tablet dissolves easily on your tongue. No need to chew or take with water, which can be very convenient when you’re away from the water cooler. As with any medicine, it’s important to follow the directions on the box. 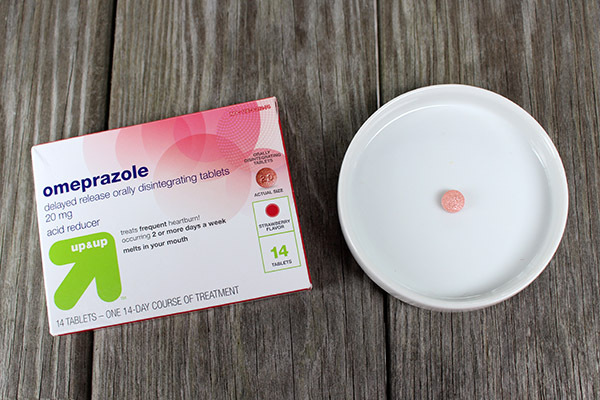 Omeprazole ODT is intended to treat frequent heartburn that occurs 2 or more days a week. Just one dose provides 24-hour relief! Just keep in mind that while some people may get relief in the first 24 hours, it may take 1-4 days for full effect, and you should take the full 14-day regimen to get the intended relief. Don’t take Omeprazole ODT for more than 14 days unless directed by your doctor. So, the next time you head over to your favorite local Target, pick up a box of Omeprazole ODT and give it a try and take advantage of the extra savings while it lasts. Disclaimer: Use as directed for 14 days to treat frequent heartburn (occurring 2 or more days a week). May take 1-4 days for full effect. Not intended for immediate relief. Don’t take Omeprazole ODT for more than 14 days unless directed by your doctor.